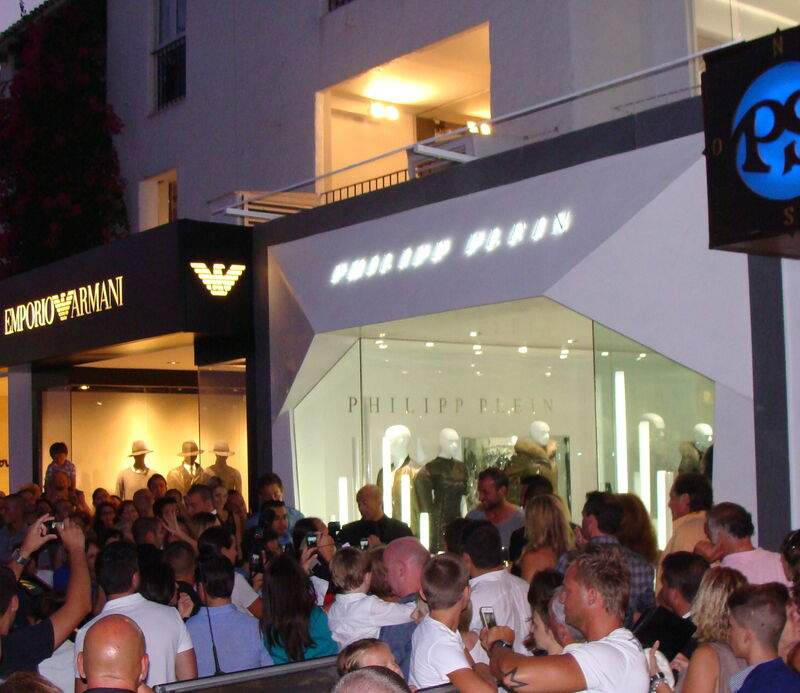 Philipp Plein is a famous German designer who has many shops in Germany and in Monaco, St. Tropez, Hong Kong, New York, Moscow and a few more big cities around the world. 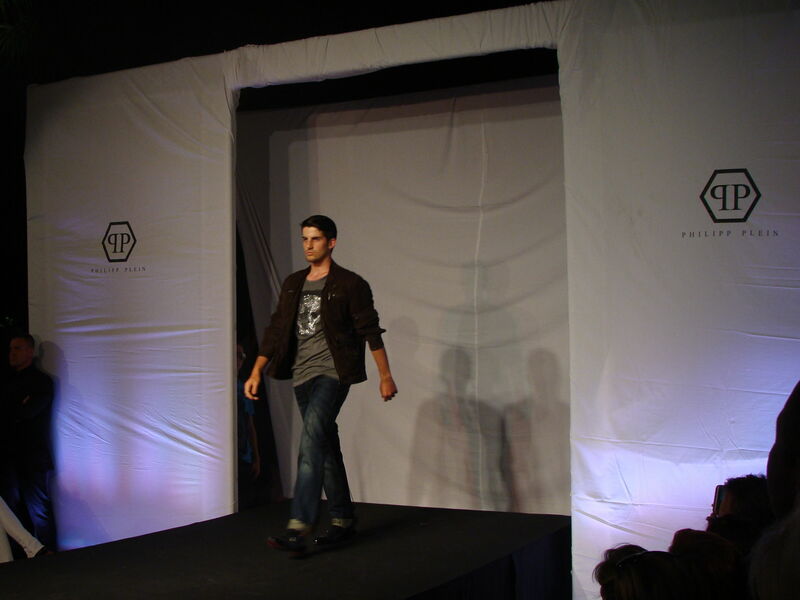 He is well known in Germany since he helped supermodel Heidi Klum in her TV-Show Germany’s next Topmodel. 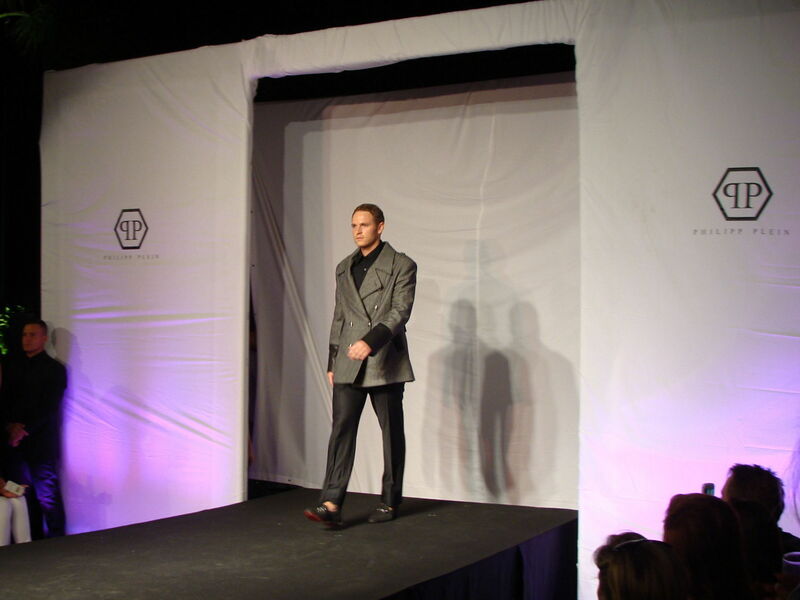 Philipp Plein actually studied law at the Friedrich-Alexander University in Erlangen before he started designing in 1998 at the age of 20 with exclusive furniture before he created his own fashion collection in 2004. H openend his first shop in the Munich disco Nobel P1. In June 2010 he worked together with Mischa Barton and a photoshoot was released and she became the new face of his couture collection. The next model was American actress and model Lindsay Lohan. Saturday, 21st July saw the opening of the first of Philipp Pleins shops in Spain more precisely in Puerto Banus, Marbella with him present as well. 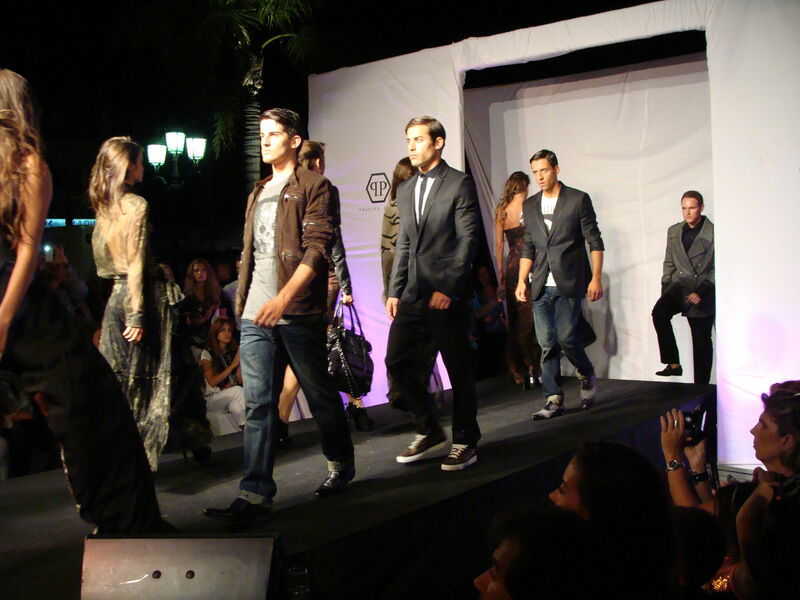 After the official opening and a few words from Philipp Plein himself we saw a big fashion show for his next Fall/Winter Collection. 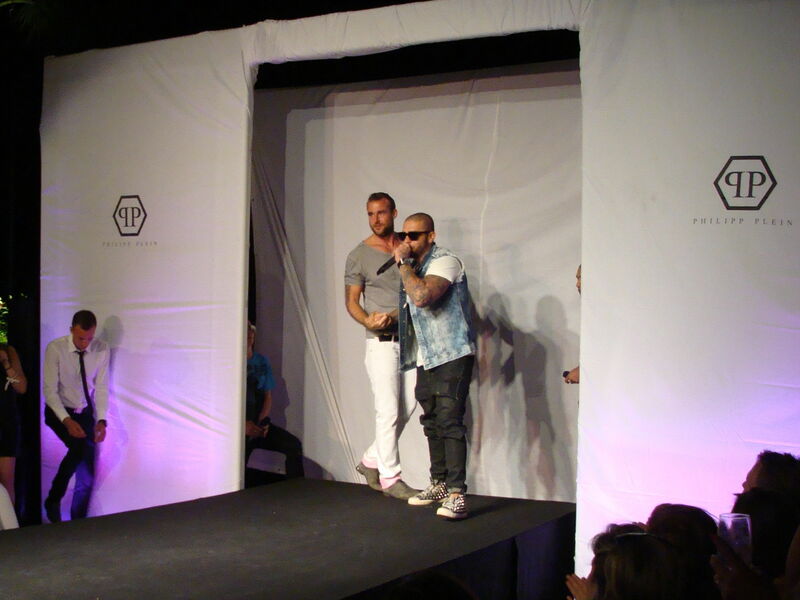 The opening party included a surprise concert by famous russian Rapper Timati with his song “Welcome to St. Tropez”. 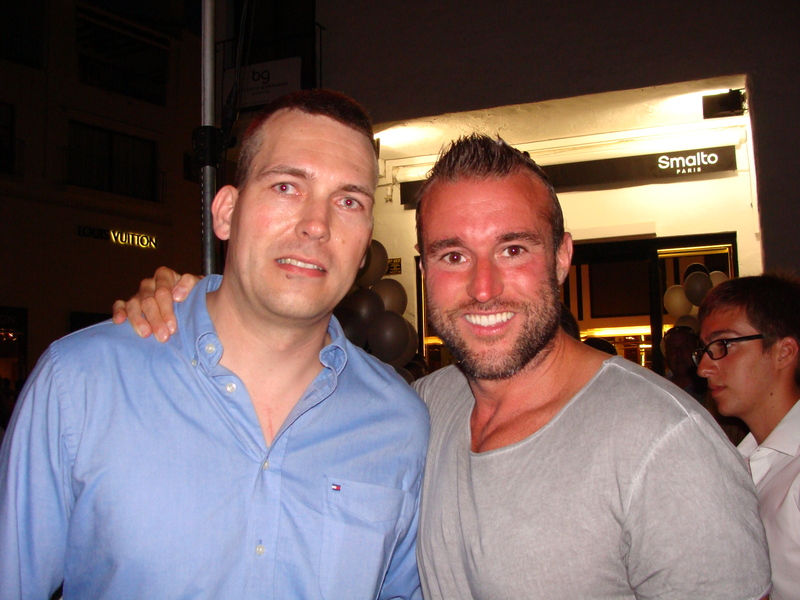 I had a few words with Philipp Plein just before he left backstage for the fashion show.